An easy-to-follow guide with realistic examples that are frequently used in real-world data analysis projects. Data analysis techniques generate useful insights from small and large volumes of data. Python, with its strong set of libraries, has become a popular platform to conduct various data analysis and predictive modeling tasks. 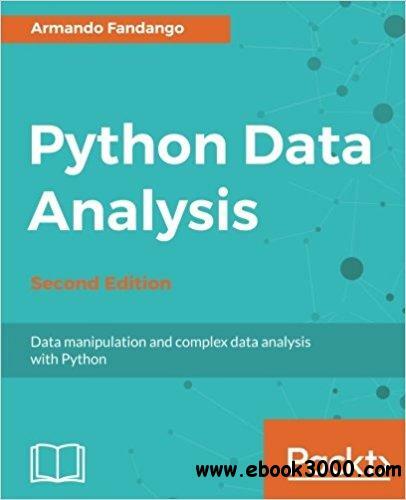 With this book, you will learn how to process and manipulate data with Python for complex analysis and modeling. We learn data manipulations such as aggregating, concatenating, appending, cleaning, and handling missing values, with NumPy and Pandas. The book covers how to store and retrieve data from various data sources such as SQL and NoSQL, CSV fies, and HDF5. We learn how to visualize data using visualization libraries, along with advanced topics such as signal processing, time series, textual data analysis, machine learning, and social media analysis. The book covers a plethora of Python modules, such as matplotlib, statsmodels, scikit-learn, and NLTK. It also covers using Python with external environments such as R, Fortran, C/C++, and Boost libraries.